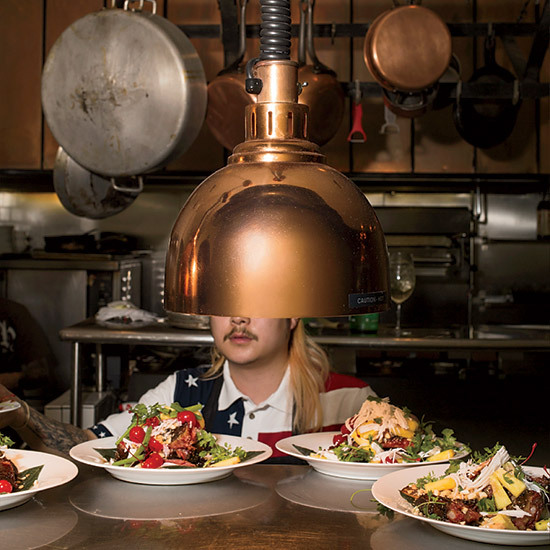 Danny Bowien is the world’s only Korean-born, alt-Chinese-inspired, 100 percent Oklahoman chef. His hometown tour includes stops for ribs and burgers as well as excellent Vietnamese fare. 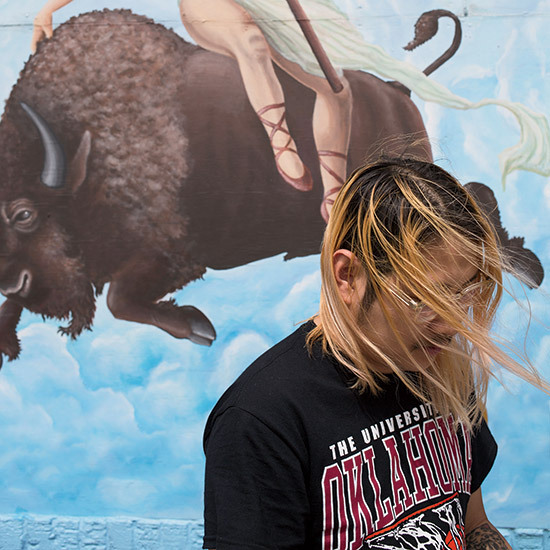 According to Danny, Oklahoma City is strong in three cuisines: deep-fried Americana, messy Tex-Mex and Vietnamese that’s better than any in the US. The house where Danny grew up hasn't changed: "I'd go home after school and watch my mom cook," he recalls. 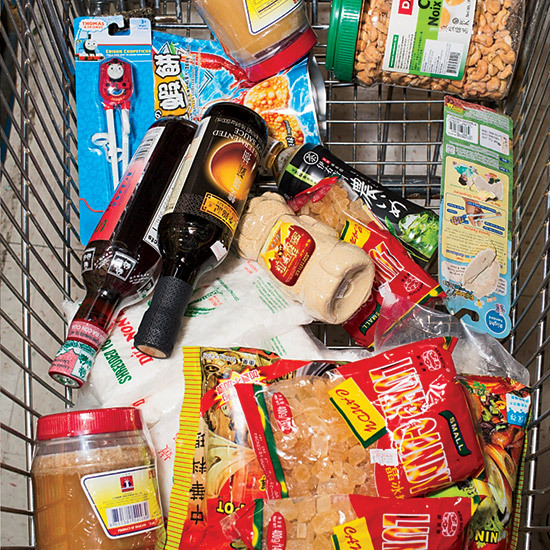 To prepare for a tornado relief dinner, chef Danny Bowien trawls the aisles of Super Cao Nguyen, a pan-Asian supermarket the size of an airplane hangar. 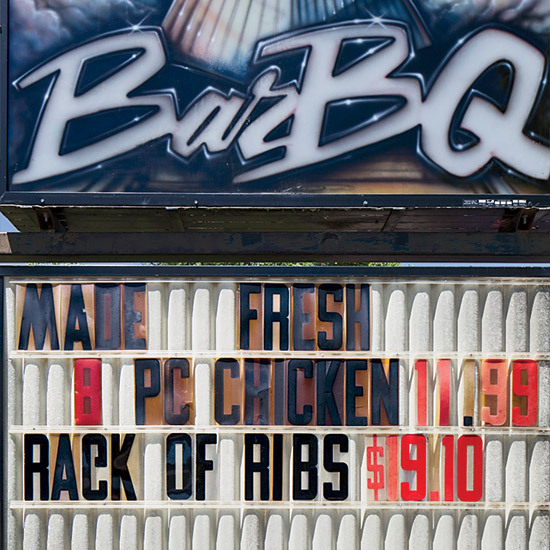 BBQ joints dot Oklahoma City's landscape: according to Danny, "messy Tex-Mex" is one of the city's specialities. 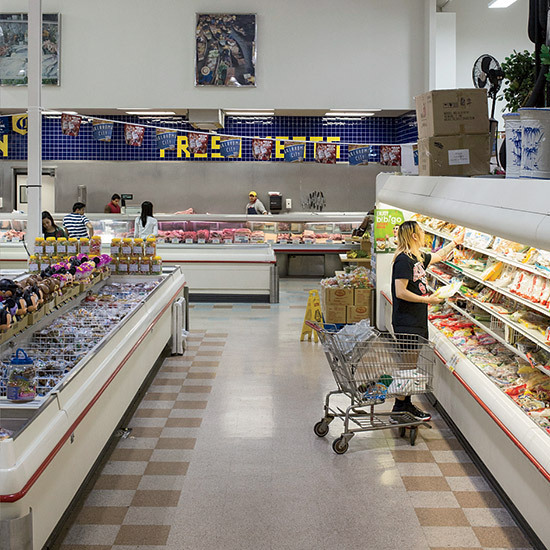 This Arts District favorite serves up "Coney Island-style" hot dogs, aka chili dogs. For a pop-up hurricane relief dinner at local restaurant Ludivine, Danny prepared baby back ribs two ways: smothered in a peppery fish sauce–spiked caramel, and served with red eye gravy punched up with bacon. Danny stops at a drive-through to pick up a sack of onion burgers, Oklahoma-style burgers with caramelized onions pressed onto the griddled patties. Pho Lien Hoa, one of Danny's favorite Vietnamese spots, serves light-bodied and beefy pho that's strongly scented with star anise and cinnamon bark and served with a tangle of herbs on top. 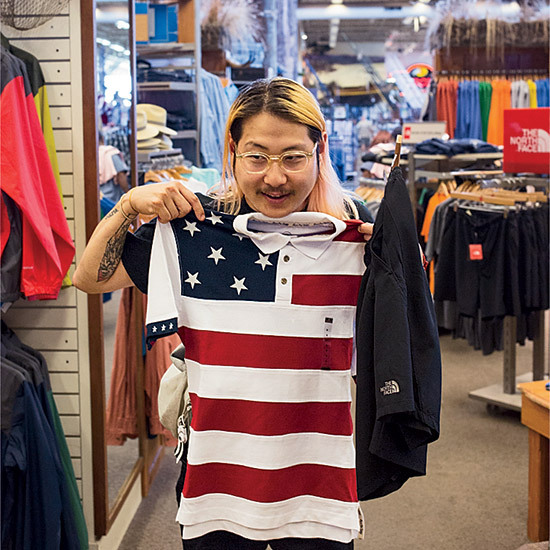 ...and his patriotic score at Bass Pro Shops, an outdoors outfitting chain. 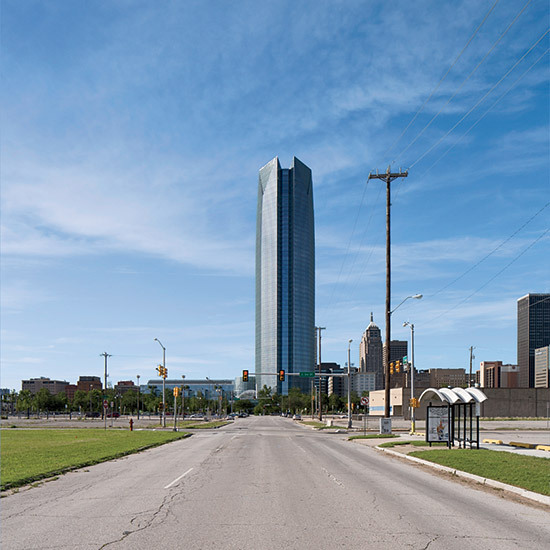 The open road in Oklahoma City. 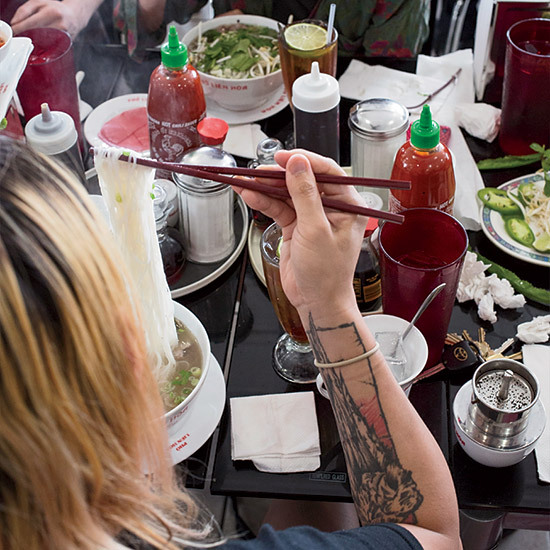 Danny and friends tuck into the superb pho at Vietnamese restaurant Pho Lien Hoa.